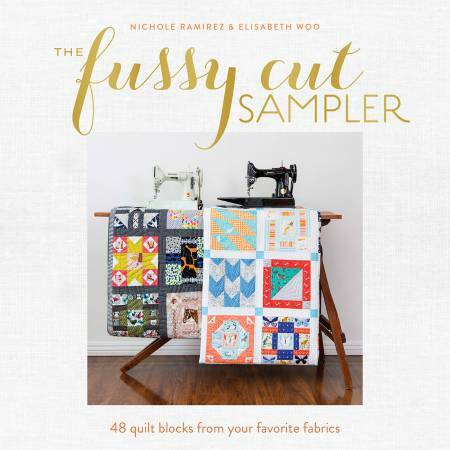 If you are like authors Nichole and Elisabeth, your favorite part of quilting is fussy cutting – and it usually involves figuring out how to enhance an interesting quilt block by framing a favorite element in your most-loved fabric! Let fussy cutting become more than just showing a single design. By following along with how Nichole and Elisabeth create drastically different samplers from each of their 48 unique patchwork blocks, see how those same 9'' blocks can easily be adapted to your own personal taste.